This is the first part of a three-part blog series that explores generational inclusion: key concepts, myths, trends, facts, barriers and enablers. I’m focusing on what you need to know and to do as a leader to build bridges, rather than walls, between people and create an inclusive culture where people of all ages can succeed. Managing multiple generations has become a very trendy topic. A whole consulting industry has developed around it. Some even talk about generational hysteria. The millennials, or the generation Y, those born between 1980 and 1996, attract a lot of attention. Indeed, they are the most studied generation ever. Many articles, books and ted talks can be found about them as if they were a new species. [i] I post every day on social media, and my posts about millennials are much more viewed, liked, and shared than any other posts. However, there is a lot of controversy regarding the empirical evidence of significant differences between generations. And if there are differences, are they due to generational differences, age differences, or differences in career stage? Generational conflicts have always existed; is there anything new about today’s generational tensions? What’s true is that four to five generations working together will become increasingly commonplace. With longer life spans and the rise or abolishment of the retirement age in many countries, we’ll tend to extend our work lives. At the age of fifty, we could have one-third of our career ahead of us. Gen Alpha: 2010 – ? When do you stop being young? When do you start being old? There is no consensus here either. It depends on your culture, on the type of work you do, on your industry, on different country legislations… For instance, on average in Europe, people consider that you stop being young at the age of forty and start being old at 62. But there are differences between countries. In the UK, the overall perception is that youth stops at 35, whereas in Greece, it stops at 52. [iii] Thirty years old might be an old age for a footballer, and a very young one if you’re a senior executive. I was once running a focus group in the Netherlands. In the room, people kept talking about how difficult it was for older employees to feel valued. When I asked them what they considered old, they told me forty years old! There’s one real key difference that can be found between Millennials/Gen Z and the previous generations: they are digital natives. The rest of us, including myself, are digital immigrants, i.e., we were brought up before the widespread use of digital technology. The technological landscape has particularly influenced the way digital natives communicate (stronger use of social media and technological devices), relate to authority (less respect for status—as on the internet, everyone has a voice), and expect feedback (they are more used to immediate feedback, as reactions on the net are instantaneous). These differences in attitude can sometimes cause intergenerational misunderstandings. The reality is, we look for different things at different stages of our careers. [viii] That was also the key finding of an event I organised on “How to engage multiple generations” at the time I was working for Coca-Cola Enterprises. All business units had analysed their metrics by age, ran focus groups with different generations, and presented their analysis during a conference with external participation from academia and other companies (EY, Sodexo, Danone, and Acciona). Generation Z members are currently exploring vocational preferences, don’t have many outside obligations, place a lot of importance on having a sociable life and fun. Generation Y members are establishing themselves in a secure niche and looking for advancement. They tend to have a social life just as important as their careers but are starting to fund their families. Generation X members are aiming to maintain their career achievements and are often responsible for caring for both elders and children alongside their work. Baby boomers and veterans are more focused on making a living and expanding their sources of satisfaction. 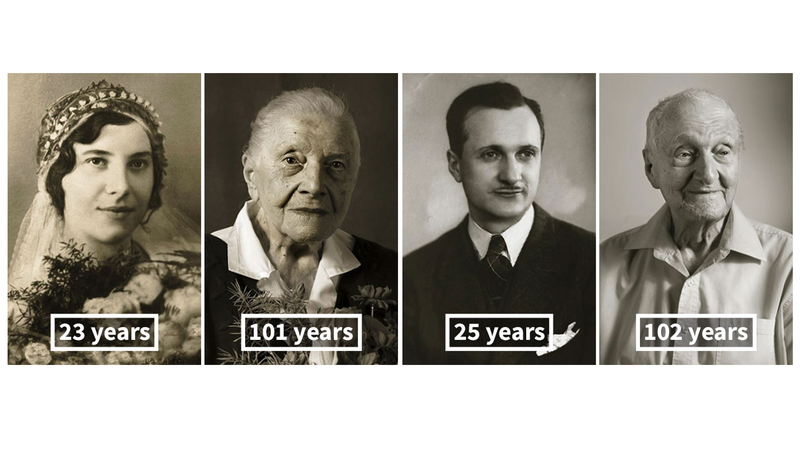 PS: this article’s cover image is taken from the project Faces of Century by the Czech photographer Jan Langer. THAIS COMPOINT is a top global specialist in inclusive leadership. Her achievements have been acknowledged with 14 awards world-wide, including the prestigious “2018 Top Global Diversity and Inclusion Leader Award”. She’s a speaker, author, facilitator, and consultant with over 18 years of experience. Thais spoke at three TEDx events, is the author of “Succeed as an inclusive leader”, the creator of the Inclusive Leadership Global Conference, and the host of the YouTube show and podcast “The Inclusiveship Show”. 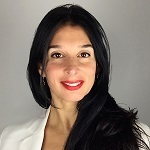 Thais is also the founder and CEO of Déclic International, a global boutique consultancy that she founded after leading the inclusion & diversity strategies of three Fortune 500 companies: Vinci, Coca-Cola Enterprises and Cisco. [i] Gretchen Gavett, Generations United, Harvard Business Review, February 2016. [iii] Ageism in Europe, a report from EURAGE (European Research Group on Attitudes to Age) commissioned by Age UK, 2011. [iv] The future of work around the world, workforce 2020, Oxford Economics for SAP, 2014. [v] Macarena Soto Ferri, Generational differences at work, http://scienceforwork.com/blog/category/hr-myth-busting/, 2016. [vi] Gretchen Gavett, Generations United, Harvard Business Review, February 2016. [vii] The Multi-Generational Workforce, Boston College Center for Work & Family, 2015. [viii] Tania Lennon, Managing a multi-generational workforce: the myths vs. the realities, Hay Group, 2015.